Mary Thornton-Bowmer has been providing nursing care for over 20 years. She received her Master’s degree in 2006 from Drexel University’s Master of Science Nursing program with a concentration in family nurse practitioner. 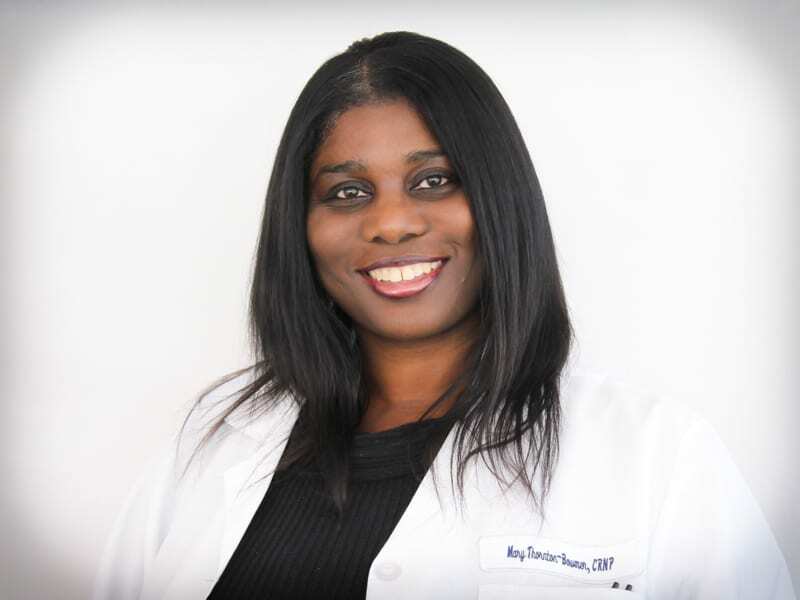 She began her Family Nurse Practitioner career in Orthopedics at The Hospital of the University of Pennsylvania. She proceeded into Family Practice at Abbottsford/ Falls Healthcare center in 2009 and has been providing care at 11th St Family Health Services since 2010. Mary’s interests include: Reach out and Read program which supports reading from 6 months of age through 6 years, Women’s Health, Adolescents and Young adults. She believes in the holistic approach in delivering health care and encourages her patients to be equal participants in their health care. Mary has been a member of Theta Chapter, Chi Eta Phi Sorority, Inc. since 1999. Currently, she is the president of Theta Chapter. She is a member of the American Academy of Nurse Practitioners and The Pennsylvania Area Coalition of Nurse Practitioners. She is currently enrolled in Drexel University’s Doctor of Nursing Practice (DNP) program and plans to graduate in 2017.